April 5, Taipei, To attract Taiwanese talents for research and development in artificial intelligence (AI) and big data application, Insilico Medicine, one of the world's top 100 AI companies who recently launched its R&D center in Nangang Software Park, Taiwan, will host MolHack II, an online hackathon on Deep Learning for Bioinformatics, Biochemistry and Biomedical Data from April 23 to May 22, 2018. The event is expected to see the participation of outstanding AI innovators and talents from around the world. Insilico Medicine has been hosting hackathons since its inception. The series of hackathons attracted numerous young scientists with its Russian event on bioinformatics which challenged itself by adopting the latest NVIDIA GPU cross-platform standardization system. Hackathons, said Insilico Medicine, can attract rising stars in bioscience and information industries. Participants of the online hackathon in Taiwan, themed around the testing of deep learning models, will predict molecule structures by utilizing algorithms on datasets provided by Insilico Medicine. The task can be completed by computing analytically, which normally requires a large amount of computational resources for a simulation. 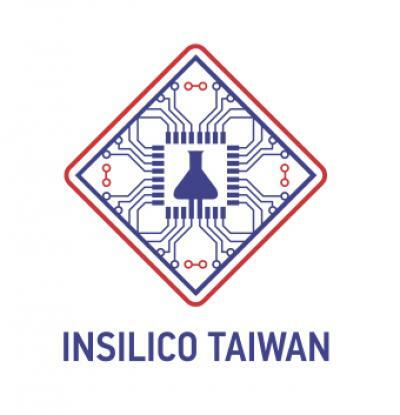 Insilico Taiwan hopes participants can adopt deep learning models for an initial screening of the drug database, and propose an innovative optimal solution through creative teamwork. Artur Kadurin, Chief Executive Officer of Insilico Taiwan Ltd., said that machine learning can accelerate the R&D of medicine against aging and diseases, such as cancer or Alzheimer. As traditional drug pipelines usually take a dozen of years to generate new medicine, the mission of the company is to shorten the time by adopting deep learning. The upcoming online hackathon on deep learning and bioinformatics in Taiwan, a country experienced in hosting hackathons, aims to tap into the creativity of Taiwanese high-end ICT talents. The company is confident that the event will attract many professionals who are interested in the field. The top three winners will take home MacBook Pro or high-end graphics card, and their solutions will be published in international scientific journals jointly with Insilico Medicine. Winners will also have an opportunity to take part in the company's projects in Taiwan or abroad. On the course of putting deep learning into biomedicine, Insilico Medicine was shortlisted as one of the top 12 finalists in NVIDIA GPU Technology Conference 2015, and advanced as one of the top five in 2017. The company has been providing results of drug repurposing to several pharmaceutical companies around the world, including the largest drug manufacturer based in Switzerland. As of now, Insilico Medicine, a Gold Sponsor of 2018 International Conference on Machine Learning (ICML), is a pioneer in the research of deep learning and bioinformatics. It specializes in new molecule application in oncology, generative adversarial network (GAN) of drugs, utilizing big data to predict pharmacological properties and drug repurposing, and developing deep biomarkers of human aging. The hackathon on deep learning and bioinformatics aims to bring together professionals in computer software in a short period of time. By brainstorming almost sleeplessly, participants will develop creative works that will have significant impact on human life and accurately compare pathogens so to improve the success rate of medicine development.